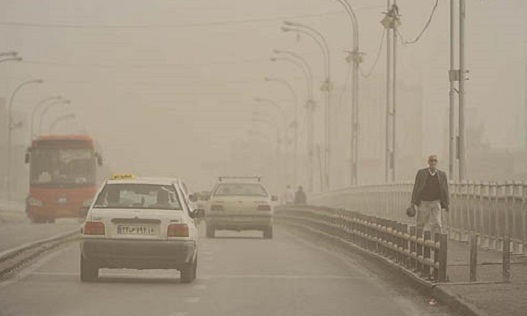 Schools in Abadan and Khoramshahr have once again been shut down due to the rise of airborne dust particles during the afternoon shift of Tuesday April 12. IRNA reports that provincial officials say the concentration of dust particles has risen beyond 12 times the acceptable level. In early March, similar conditions led to the closure of schools and government offices for a number of days in Khuzestan Province. While dust storms from northern Africa and Iraq are said to be a major cause of the rise in dust particles in Iran’s western regions, the drying of many regional wetlands has also been identified as a major contributor to this problem.